Ann Friedman is a freelance journalist who writes about gender, politics, technology, and culture. She is a contributor for New York Magazine and the Los Angeles Times, and a contributing editor to The Gentlewoman. Her work has appeared in a wide range of publications, from The New Republic and ELLE to Lucky Peach and The New York Times. Ann also co-hosts the ever-popular podcast Call Your Girlfriend, writes a popular weekly email, and makes hand-drawn pie charts - all from her home-base in Los Angeles. She’s the long distance bestie you wish you had. Stanislava Pinchuk (Miso) is an artist and tattooist who was born in Kharkov, Ukraine and grew up in Australia. She exhibits internationally and has work in a number of public institutions, including the National Gallery of Victoria. Her client list includes Chanel, Qantas, Tiffany & Co, Vice, Gorman, Thames & Hudson and La Chambre Graphique, Paris. She has completed residencies internationally and has six published monographs of her work. Stanislava is a highly sought after trade-only tattoo artist that most of us would give our left arm for. 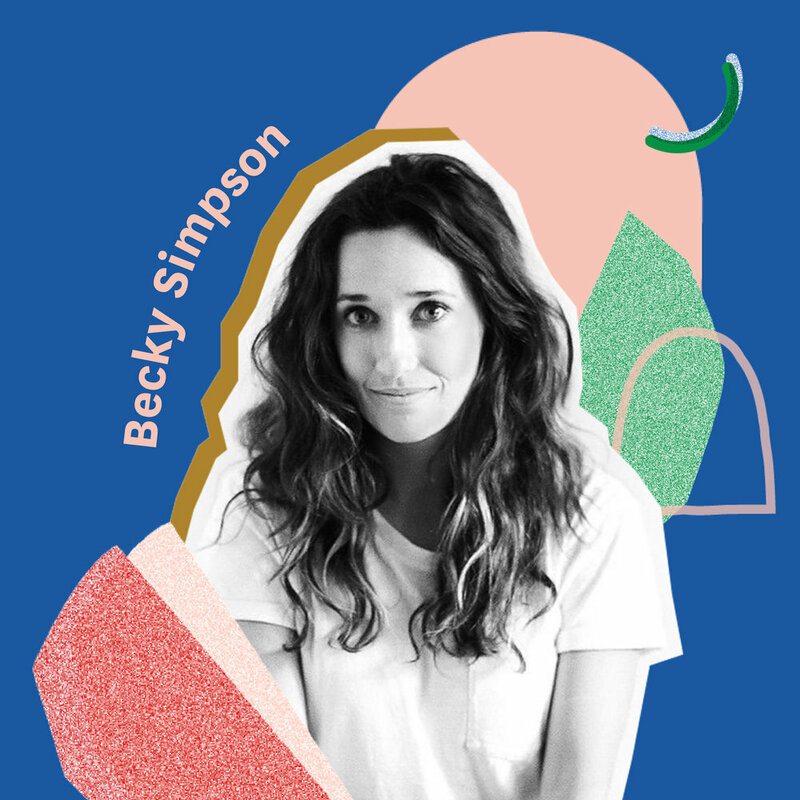 Becky Simpson is an independent designer and illustrator from Nashville, Tennessee. She is also a speaker, author and the founder of Chipper Things. Becky’s work fuses her passions for connection, process and play. In 2010 she wrote and illustrated her first book, I’d Rather Be Short: 100 Reasons Why it’s Great to be Small. The Roommate Book: Sharing Lives and Slapping Fives was published in 2016. Becky was an Adobe Creative Resident in 2015-2016 and her favourite book is The Very Hungry Caterpillar by Eric Carle. Lex Hirst is a commissioning editor for Penguin Random House, as well as a festival director and arts programmer who is driven by a love of great writing and exciting ideas. In 2014 and 2015 she co-directed the National Young Writers' Festival. She has programmed and produced events like Cubby House, the love child of Secret Garden Festival and Concrete Playground, Junkee Take On and is a SAMAG Committee Member. She is an experienced moderator and panelist with a deep respect for Australian arts and culture and we just don’t think it would be a good chat without her. Amrita Hepi is a dancer and choreographer working in performance, video and installation. A Bundjulung and Ngapuhi woman her practice sits in the nexus between contemporary dance and pop culture Her work has taken many forms (film, performance, sculpture, text, lecture, paticipatory installation) but always begins from working with the body as a point of archive, memory and resistance. Her work has been shown internationally and nationally at the Sydney Opera House, ACCA, and Banff Centre Canada. She has also recently joined the Western Australian Dance company Ochres and also is working with Marrugeku. She quite literally has all the right moves. Jess Scully is a creative industries expert, event director and public art curator. She uses creativity and the arts to engage communities in the knowledge economy and the public realm. Jess was the founding director of Vivid Ideas, and has curated events including Junket, TEDxSydney and Curating Participation. As a public art curator, her projects included Green Square Library, 60 Martin Place and Barrack Place. Jess is passionate about cities and city-making, and was recently elected as a Councillor for the City of Sydney. We love her so much, we invited her back for a second year. Amy Nadaskay is an award-winning Creative Director with over 18 years experience in New York, San Francisco and Sydney who also happens to the the founder of Sydney-based design and branding consultancy Monogram. Using her pioneering Remarkable Truth™ framework, Amy brings her philosophy to life through original creative expression and strategically compelling communication and business tools that turbo boosts brands to the next level of success. Amy has helped the Sydney Opera House, Sydney Symphony, Melbourne Recital Centre, Coco Republic, AMP, and the Centre for Social Impact among others. She is a true creative marvel.